CCP announced today that, effective November 8th, all gambling involving EVE assets will be considered a breach of the EULA. While we remain supportive of actions CCP takes to address violations of the EULA, we are concerned that the scope of this action, and particularly the broad expansion of the EULA’s scope going forward, will negatively impact numerous community-driven enterprises. Crossing Zebras is fortunate. We have an established brand, stable leadership and have been able to plan for the future. We will adapt and find new ways forward. In this case, however, change is inevitable as a direct result of this update to the EULA. We believe that our staff’s hard work should be rewarded, and will do everything possible to make sure that our writers and podcasters continue getting paid for what they bring to you. That will be harder now, though. Without our sponsors, we must seek new ways to compensate our writers, editors, IT staff, administrators, video makers, and podcasters for the hard work they put in to bring you content. 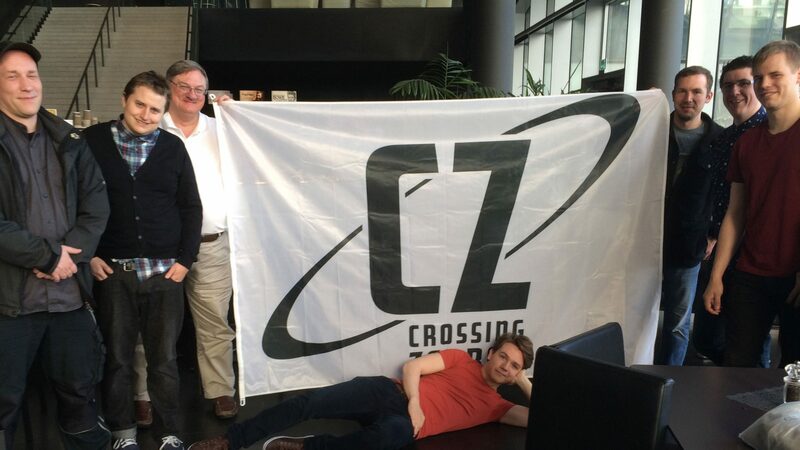 CZ isn’t a site that runs on goodwill, or pays its writers based on real-world revenues. We value our independence from ingame political entities. You probably won’t see much change out of Crossing Zebras, at least not at first. We’ll be fine, at least for a while. The Crossing Zebras content you enjoy will continue to be available free of charge, regardless of changes we make to our funding model. Our true concern today is for those in the community without the stability we’ve been fortunate enough to be able to establish. Valuable community resources like Crossing Zebras, Eve News 24, EVE_NT, along with a considerable number of other sites, podcasters, streamers, contests, in-game events, meetups, content creators, E-sports, and other entities in the EVE community, will need to reinvent themselves. Creative voices who can afford to take time to tell stories because they’re paid in ISK for their work may find less incentive to speak. Fewer stories from fewer voices may be shared by the community. We are concerned that a major part of what we broadly call the EVE media will be severely diminished because of the actions of a few individuals. We fear that these changes may prevent the next generation of voices from sharing their views, displaying their talents, or devoting their time to fleshing out the EVE universe and contributing to its community. We hope CCP will consider the substantial secondary effects brought about by today’s actions as they move forward.